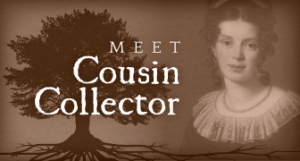 There are lots of places that genealogists look for clues that will lead them to discovering the next generation in a family tree, but two of my favorites are death certificates and death notices/obituaries. Depending on the state, a death certificate may give you the name, years married, and birthplace of the deceased along with the cause of death, the date and place of burial, the next of kin’s signature, and the names and birthplaces of the parents of the deceased. Death notices are more likely to list the names and hometowns of siblings and children. Before starting a search for death records, it is helpful to know whether the records even exist. This Vital Records Chart from Family Tree magazine gives the dates when each state began requiring birth, marriage, and death records. I printed a copy and have it hanging right beside my computer for quick reference. Some states have records going back much further than others; for example, Massachusetts required all 3 record types as early as 1841 whereas Vermont didn’t require them until 1955. 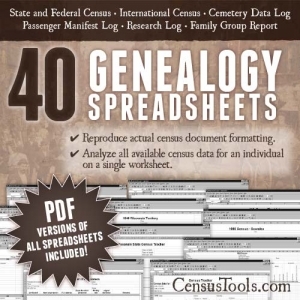 FamilySearch has a large collection of death records that have been digitized, so that is a great place to start (free registration is required). Many states have virtual archives with copies of death certificates; those that don’t may provide death indexes which will tell you where and when the person died (helpful when ordering a death certificate). The cost to order a copy of a death certificate can vary dramatically based on locality. Recently, I paid $25 for a certified copy from Arkansas and $7 for uncertified copies from Ohio, but have heard of people being charged over $60 for a death certificate. Death notices published in historical newspapers often list the date of death as well as details about the cause of death (often to the extent of including what we might consider TMI today). If the person was well-known (or well-off), details about their life may be included. Death notices for others are often simpler and might only include the name and date of death. If the notice is published after the funeral, details might include family that attended along with their hometowns. Although some searchable historical newspaper archives can be found online, the majority of small town papers are found on microfilm at various locations. The Library of Congress has a large collection of newspaper archives, and in the states I am researching, both state archives and state university libraries have collections that include the newspapers I needed. If you are searching an online archive by name, be aware that a woman might be listed by her husband’s name or initials, and that abbreviations such as Geo. for George or Jas. for James might affect your search results. Alternate spellings of last names can also be a problem, so if you have access to newspaper archives, browsing microfilm can sometimes actually be faster than searching every possible combination of search terms. When I go on family history research trips, I spend the majority of my time in newspaper microfilm archives. As always, don’t assume that the information you find is correct. The next of kin may guess at information on a death certificate, or a family might embellish or omit pertinent facts in a death notice. 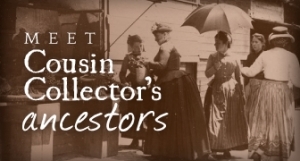 Armed with the clues provided in these sources, the family historian can search out additional records and with more evidence, prove or disprove the connections discovered. Oh My YES !!! Lots of wrong information on Death Certificates. But I am trying to find some sort of document that is before the state required a certificate, in AL. 1893 to be exact. Wasn’t something recorded somewhere with the county or town where these folks were? Any suggestions? Hi Barbara – in my experience (and I haven’t had to research records in Alabama), most counties kept records much earlier than was required by the state. I’ve had good luck with the non-indexed records on Family Search for county records preceding the date when the state required death records. 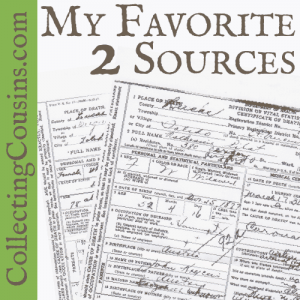 Although I do not see death records for Alabama there, there are probate records. Since these records are not indexed, you will need to browse by date to see if you can find what you need.